Longtime L.A. RECORD favorites the Flytraps are here to tear a hole in the holidays with this wreck ‘n’ roll burner “Cha Cha Heels,” which starts with a nod to Female Trouble and doesn’t slow down for a second. This is up there with the Kids for relentless momentum, and it’s way a better fit for a punk rock Christmas than that Ravers song. 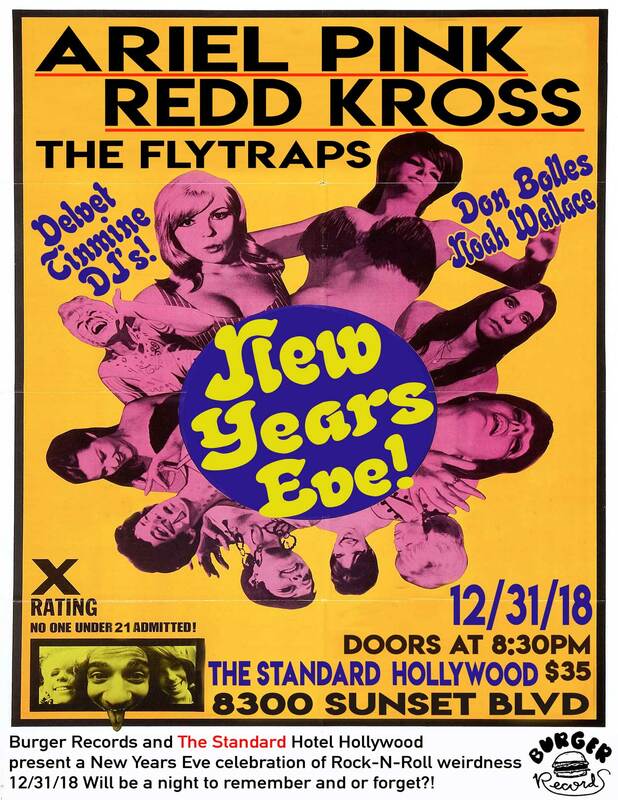 In related too-much-is-never-enough news: the Flytraps will be opening for Ariel Pink and Redd Kross at Burger’s New Year’s Eve at the Standard, where Velvet Tinmine glambeasts Noah Wallace and Don Bolles will flood the floor with the finest Euro bubblegum. Flyer below!